All the features that are so difficult to find. 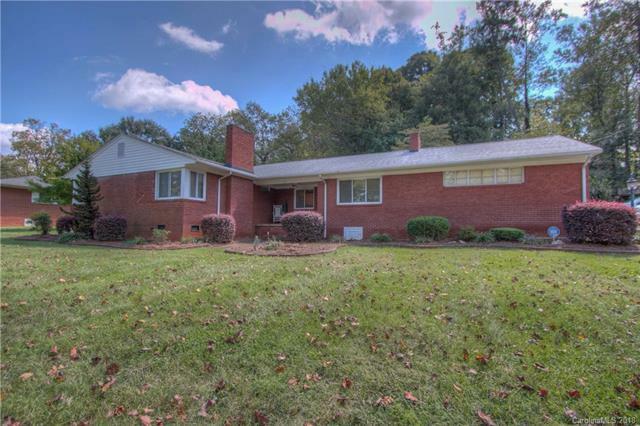 A single level brick home on over an acre of land with no HOA, convenient to I-85 and beautiful downtown Mount Holly. Plenty of room for parking in the 2 car garage or the driveway. Enter the living room with fireplace & built-ins from the covered front porch. Eat in the updated kitchen and enjoy the solid surface countertops, pantry, pass-through and bar into a wonderful sunroom with an enormous closet and door to the patio. The master suite is spacious and inviting with its own fireplace and ensuite bath, including a large tiled shower. Walk the grounds and enjoy the large yard with so much parking as well as the shade trees and patio. There is a small outbuilding styled like a cabin and another outbuilding as well. Updates from seller: moisture barrier in the last year, new garage doors in 2017. Sold by Bowman Real Estate Llc.